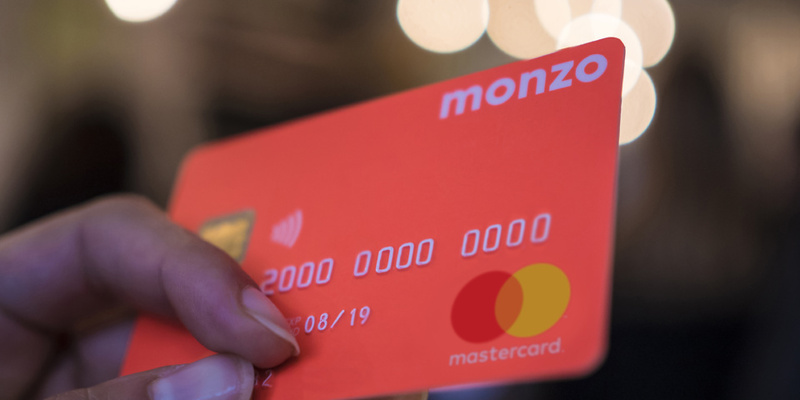 Smartphone-only challenger bank Monzo has soared to the top of Which?’s bank account satisfaction survey, which also saw TSB slump to the bottom following a turbulent year of IT failings. Which? surveyed more than 4,000 members of the public to find the level of customer satisfaction with dozens of banking brands. Monzo came first with an impressive customer score of 86%, finishing just above telephone and online-only First Direct, which scored 85%. Find out why a bank that only exists on your phone has topped our table – and which banks sit at the bottom of our results. For the first time, Monzo had a large enough sample size to be included in Which?’s customer satisfaction analysis – and it immediately hit the top spot. This is the first smartphone-only account to appear in Which?’s annual banking analysis and the popularity of the bank matches its rapid growth – it has amassed more than one million customers in just three years. It offers instant notifications every time you spend on your debit card, categorisation of your spending and budgeting tools in its app, as well as fee-free card spending abroad (and £200 free ATM withdrawals). It has recently launched a savings account paying 1%. Monzo and previous table-topper First Direct achieved five stars for customer service in Which?’s survey. Nationwide Building Society (79%) finished third and Metro Bank came fourth (76%), meaning challenger banks finished in two of the four top spots. At the other end of the table, TSB and Bank of Ireland were joint-bottom on 58%. TSB’s turbulent year, which was plagued by IT crises that left millions of customers locked out of their accounts, saw the bank slump from fourth the last time the research was carried out, to joint-bottom spot. More than half (56%) of TSB customers told us they had experienced technical issues in the past year, and the bank scored poorly on customer service, telephone, and online banking and complaint handling – with two out of five stars in these categories. Also at the bottom of the table was Ulster Bank, which scored 63%, followed by Royal Bank of Scotland on 60% –just ahead of TSB and Bank of Ireland in joint last place. All of the bottom four banks scored just two out of five stars for customer service. Which? wants to encourage bank customers unhappy with their current service to weigh up other options on the market and make the switch to a better provider. Most banks have signed up to the current-account-switching service (CASS), which means it should take just seven working days to switch to a new account. You can check which banks and building societies are signed up by searching for their name on the CASS website. The switching process is mainly automated, but there are a few things you’ll need to do. Firstly, you need to apply to open the new account. You’ll have to provide two separate documents for proof of identity and proof of address to your new bank. Then you’ll have to complete two forms to confirm the switch and choose a convenient switching date. You’ll continue to use your old bank account up until the switch date, at which point the new bank will be responsible for moving your incoming and outgoing payments, and transferring any money to your new account, before closing the old account. Which?’s rating for customer satisfaction is based on feedback from these customers. The score is made up of a customer’s overall satisfaction with the brand, and how likely they are to recommend that brand to a friend. We also analyse 38 different elements of bank accounts, including rewards, fees and benefits, which are combined to calculate a product rating score. For a brand to reach a Which? Recommended Provider status, it must have earned a customer score of 70% or more, and its main current account must have achieved an above average product score. It must also offer an account sitting in the top 10 for at least two of the following: credit interest, cashback and other rewards or an arranged overdraft.